Most of the plug-in electric cars sold in the U.S. are also produced in the U.S. 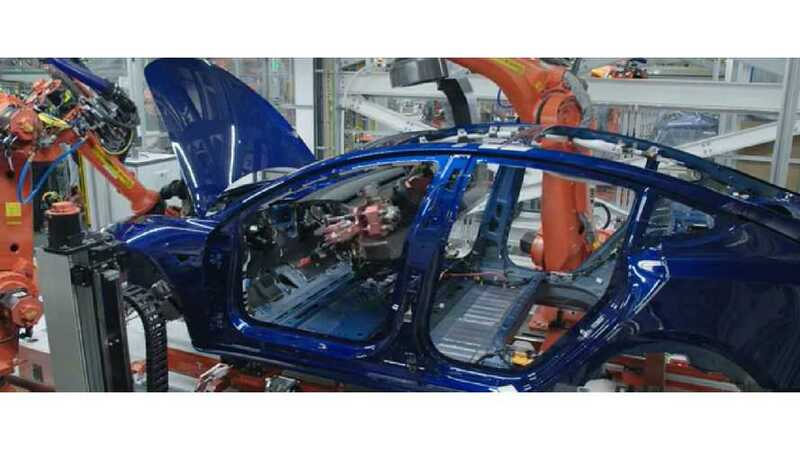 According to the U.S. DOE’s Office of Energy Efficiency & Renewable Energy, 65% of the plug-in electric car population were assembled in the U.S. The three next countries are Germany (10%), Japan (9%) and Mexico (9%), for a total of 93%. The rest of the world represents just 7%. With the production ramp-up of Tesla Model 3 (the best selling plug-in model so far in 2018), it's expected that the U.S. assembly ratio will increase. 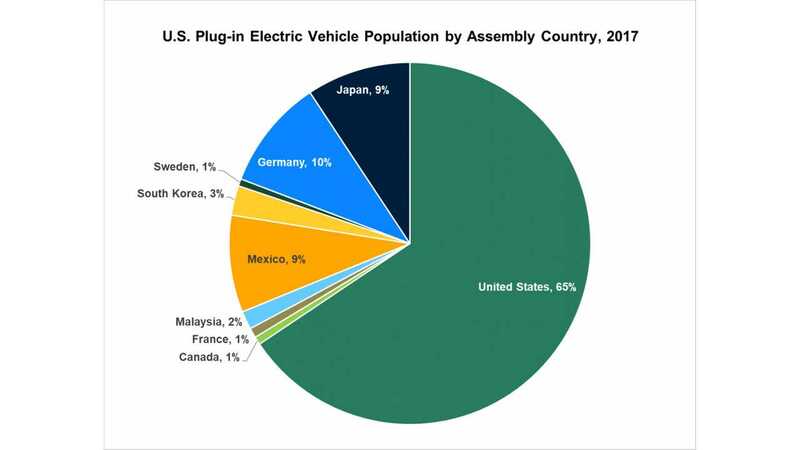 "Of the U.S. plug-in vehicle (PEV) population, which includes both all-electric and plug-in hybrid light vehicles, nearly two-thirds were assembled in the United States. Ten percent of U.S. PEVs were assembled in Germany, with 9% each coming from Mexico and Japan. Each of the other countries represented less than 4% of the U.S. PEV population. Notes: China, Austria, and the Netherlands were less than 0.5%. Electric vehicle population was based on vehicle sales. Total may not add to 100% due to rounding. Assembly country may be different than the country where some vehicle parts were manufactured. Source: Argonne National Laboratory, Impacts of Electrification of Light-Duty Vehicles in the United States, 2010-2017, ANL/ESD-18/1, January 2018."